Make lunchtimes more exciting with the May issue of Vegan Food & Living. Stuck in a rut when it comes to making lunch to take to work? Wish you knew more options for breakfast on the hop? 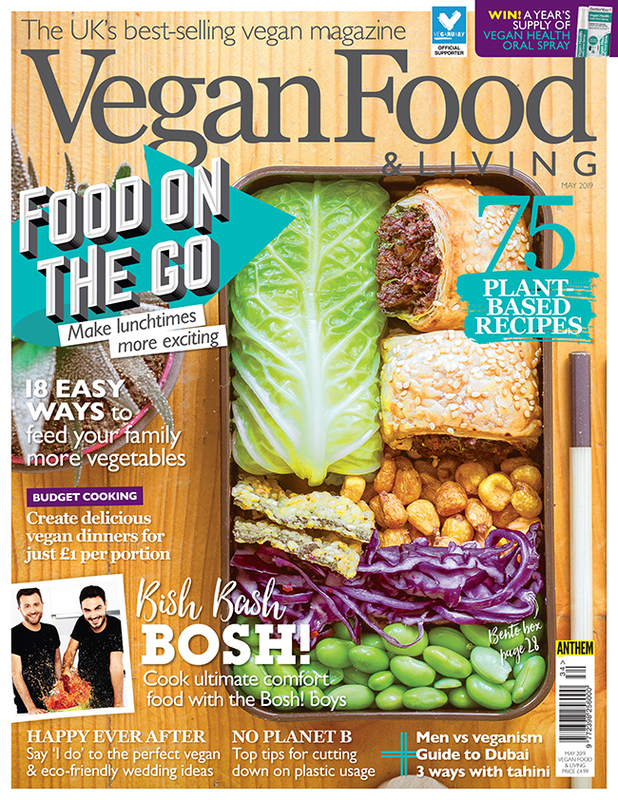 We’ve got the answers in the May issue of Vegan Food & Living, which is packed with delicious recipes for food on the go. From the fun Bento box cover star to Morrocan chickpea salad, overnight blueberry sprouts and Provencal potato salad, we’ve got plenty to inspire. Also this issue, we cook up delicious dinners for just £1 a portion, share patisserie recipes that are guaranteed to seriously impress even the most cynical non-vegan, and reveal how to get your family to eat more veg. If that’s not enough, we also look at how to plan a vegan zero-waste wedding, share top tips for cutting down on your plastic usage and explore why there’s still a stigma attached to men going vegan.